If you're not a fan of classical music or opera, LoftOpera will change that. 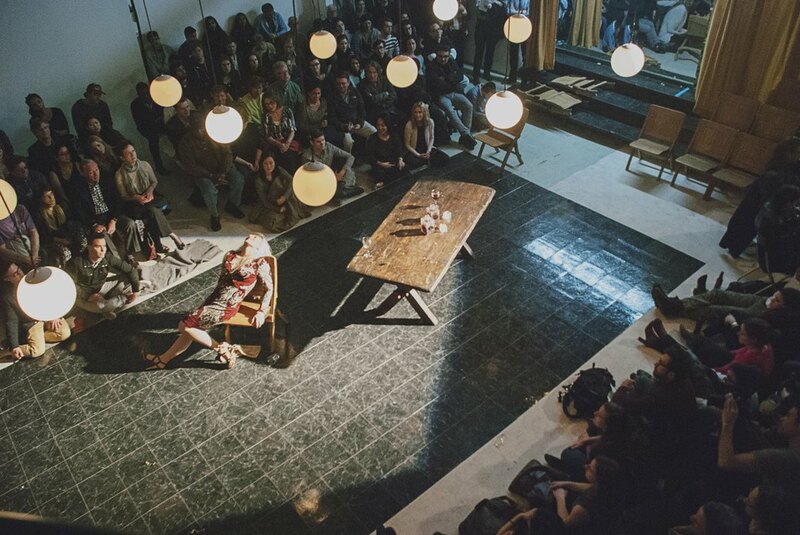 Revamping the traditional format, LoftOpera "removes the barriers between the stage and audience" by surrounding the slightly elevated stage with seating, making their take on opera both innovative and fresh. Stripping the genre of its pit, backstage, and stuffy atmosphere, LoftOpera has created, by necessity, a new way to experience this art form. This weekend, LoftOpera presents Gustav Mahler's "Lieder eines fahrenden Gesellen" and Hector Berlioz' "Les nuits d'été" at The Muse in Bushwick. The two song cycles have been blended together by the director to create "a familiar story for New Yorkers," said executive producer Daniel Ellis-Ferris. Creating a set that will be seen from two opposing directions can be difficult, but stage director John de Los Santos has incorporated props, lighting and stage movement that leap over the obstacle of sight with finesse. 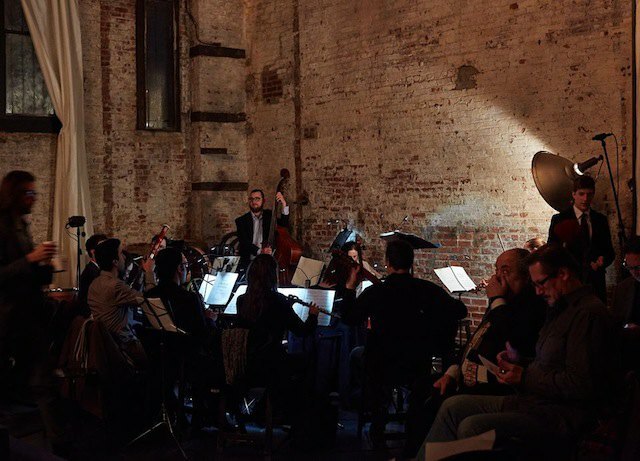 LoftOpera has positioned the orchestra inward with backs to the stage - something unseen in traditional formats, giving music director Dean Buck full sight of the orchestra and performers, and the audience a 360 degree view. "Someone can sit right next to a full orchestra, or a performer going full voice," explains Ellis-Ferris. Gustav Mahler's "Lieder eines fahrenden Gesellen" is a beautiful tale of unrequited love. The four-part tale of Mahler's love for his secret bae will be sung by Joel Herold, a budding star in the world of opera. Herold's smooth baritone has been swooned over in the press and he was a national semi-finalist in the Metropolitan Opera National Council Auditions. As if the talent couldn't get any more impressive, Rebecca Ringle will be singing Hector Berlioz' "Les nuits d'été", an opera written for her voice, quite literally. Ringle has been on the Metrpolitian Opera's roster since 2010, and has the chops to prove it. A TEDx speaker and Yale School of Music graduate, Ringle's expertise will sure to bring out every bit of passion, despair, and heartache out of Berlioz own struggle. 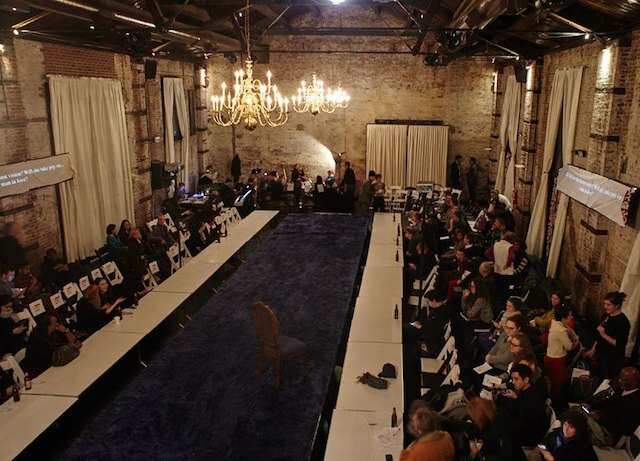 Angela Buccini, director of The Muse, was overjoyed to have LoftOpera come into the space. 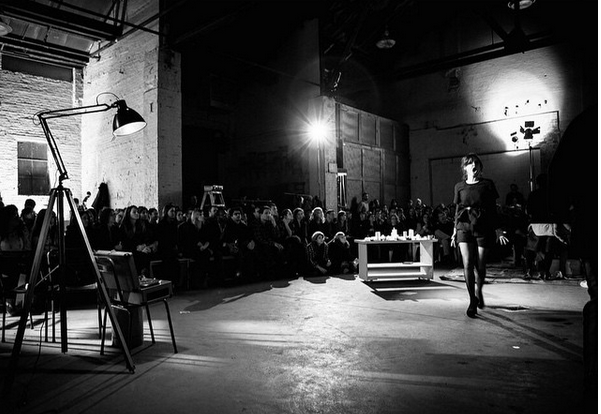 "LoftOpera really knows how to transform a space into something magic and fits very well into our mission statement for artists and residents. We hope to have them more and more."